“Arthritis, The Silent Family Member”, my personal illness narrative, was first published in 1996 in a co-authored book: Beliefs: The Heart of Healing in Families and Illness by Lorraine M. Wright, Wendy L. Watson, and Janice M. Bell. New York, NY: Basic Books. I was 5, almost 6 years old, when the reality of illness entered my young life. My youngest sister and illness arrived together. 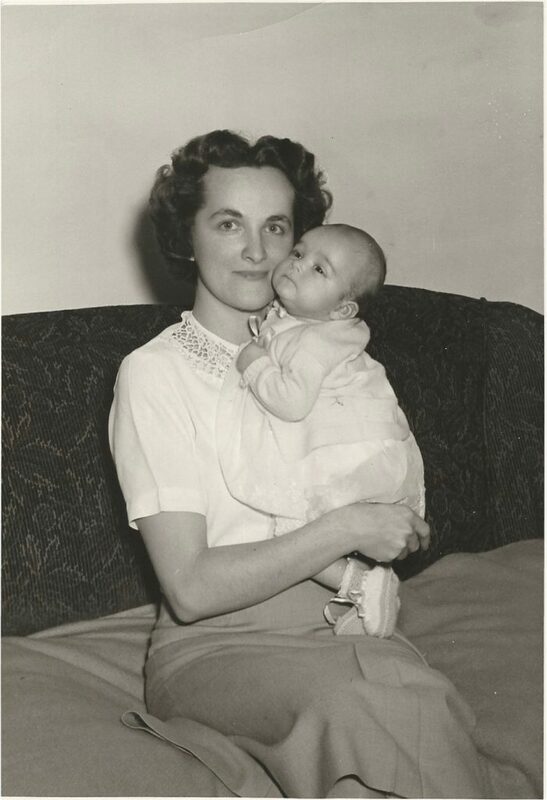 My maternal grandmother was the temporary caretaker during my mother’s postpartum confinement, and I recall she and I had very different ideas about the rules of my home. When my mother returned home after the customary 10-day hospitalization following childbirth, I expected life would finally return to normal. Unfortunately, my mother experienced her first disabling attack of rheumatoid arthritis, and her bedroom became a sickroom into which she disappeared for a long time. I remember a series of visitors and many home remedies undertaken to no avail. Thirty-nine years have gone by since the onset of my mother’s illness and she continues to have active disease as evidenced by an elevated sedimentation rate, progressively deformed joints, and much chronic pain. Until recently, however, I have not been aware of the cost of this illness to my mother or to our family. While I was growing up, I was not aware of my mother’s illness suffering, apart from her “disappearance” at the time of diagnosis. Extended family members, particularly my aunts, would frequently remark about my mother’s courage, her unwillingness to complain about or even mention her illness, and her smiling, happy attitude in the face of great pain. I was always a little surprised at hearing this reality drawn forth; after all, my mother did have arthritis, but she was not sick! She was like all of my friends’ mothers; in fact, she outshone all other mothers in her creativity, intelligence, and sophistication. When I became a nurse, I developed a new knowledge about her disease and the numerous medications she took to control the pain and inflammation. This new awareness allowed me to celebrate the times when she experienced a short-lived period of remission while taking a new drug and to sympathize during those times when nothing seemed to relieve her pain. The disease—symptom control and relief from pain—was the focus of my attention. About 15 years ago, as my interest in families and illness and family nursing developed under the tutelage of Dr. Lorraine Wright, I asked my mother if I could accompany her to an office visit with her rheumatologist during a particularly disabling episode of acute inflammation. I recall initially fearing that I would make my mother look incompetent by accompanying her. Over time, I become more and more puzzled and angry by the way I was ignored in conversations that took place between my mother and her physicians. During my mother’s subsequent hospitalizations for massive doses of intravenous cortisone or for joint surgery, I remained invisible to other member of the health care team as well: nurses, physical therapists, occupational therapists, and so on. I was seldom acknowledged as I sat beside her bed. My attempts to initiate conversations about my mother’s illness were generally met with polite, perfunctory answers. I was never invited to participate in any conversation about her care or her progress, nor were other family members. My frustration drove me to become increasingly assertive in offering my ideas about mother’s care and in asking more questions. I even encouraged my mother to consult other health care professionals who might be more interested in her experience of illness rather than focusing solely on her disease. My mother’s responses to my increasing anger at and assertiveness with health care professionals was to placate me. She feared being labeled a “problem patient” or a “doctor shopper” and believed she would consequently receive less expert care. I have only recently come to understand that one explanation for my early unawareness of my mother’s illness experience is that she worked hard to protect me and rest of my family from her illness. Our first doctoral student, Carole Robinson, who studied in the Family Nursing Unit, University of Calgary, examined families’ responses to chronic illness and documented how the mother plays a major role in buffering the family from the impact of illness (see publications below). Whether it is the mother herself or another family member who experiences an illness, it is often the mother who assumes responsibility for the many instrumental and emotional demands of the illness in ways unknown to other family members. The work of protecting the family from illness is demanding and often causes the mother to feel burdened, overwhelmed, and alone. I suspect my mother’s devout spirituality enabled her to deal with the demands of illness and competently manage her roles of wife and mother. In contrast to my family’s later experience with the cardiac illness of my father and our enduring worry about him, my mother’s protection of us from the impact of her illness rendered her illness silent. I can only wonder what the cost of her silence has been to her health and emotional well-being. What other costs or benefits have resulted from the ways she protected her husband and children from her illness? I can only wonder if her illness suffering could have been reduced if health care professionals had invited her to voice her experience of illness rather than solely focus on her symptoms. Finally, would her protectiveness have been necessary if all of my family members had been invited by a competent health professional to talk about our understanding of and experience with this silent and insidious family member called arthritis? Postscript: My mother died in 1999 of leukemia, likely related to the medications she took for 42 years to help her live alongside rheumatoid arthritis.